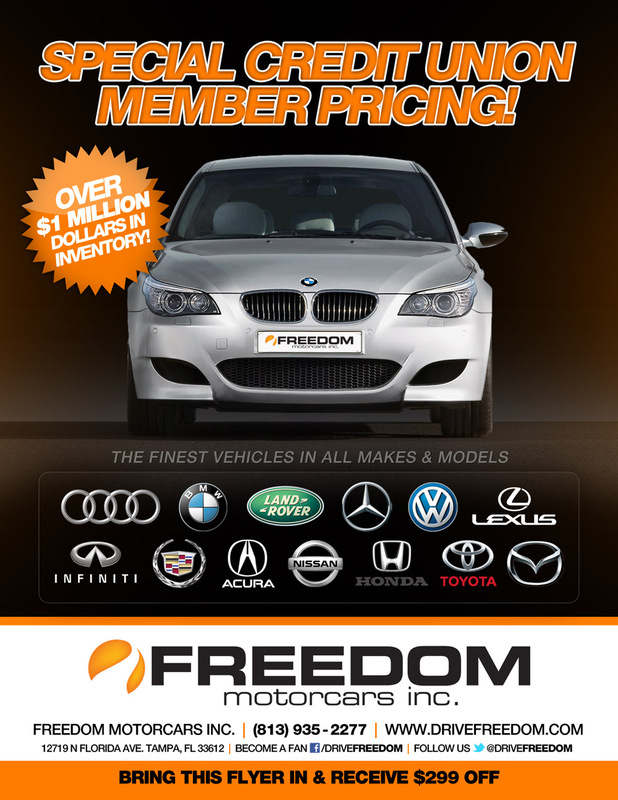 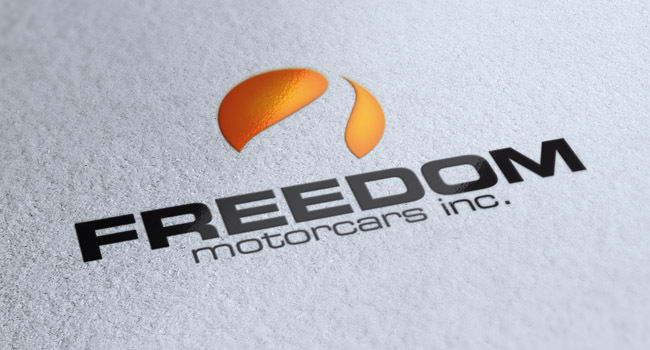 Freedom Motorcars, a top, used car dealership in Tampa, FL, asked us to design their new logo, business cards, and signage. 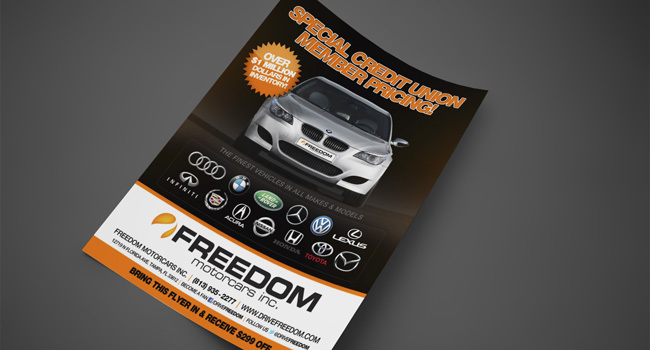 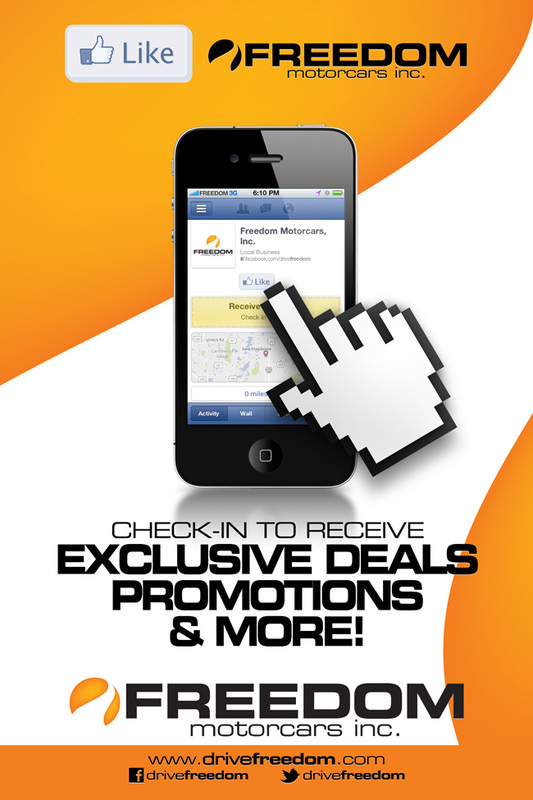 We designed and printed promotional pieces, along with a poster encouraging customer interaction and Facebook Check in's at Freedom Motorcars. 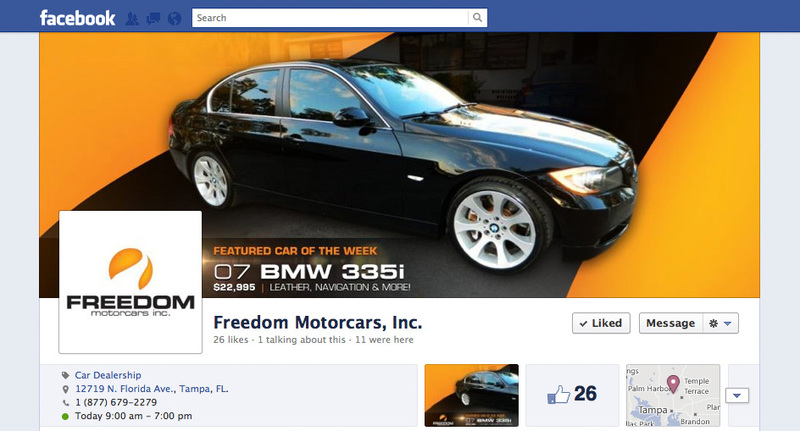 By utilizing social media outlets, Facebook & Twitter, we created and evolved their social identity by allowing their customers to interact with the company, receive exclusive offers, and participate in contests for prizes and giveaways. 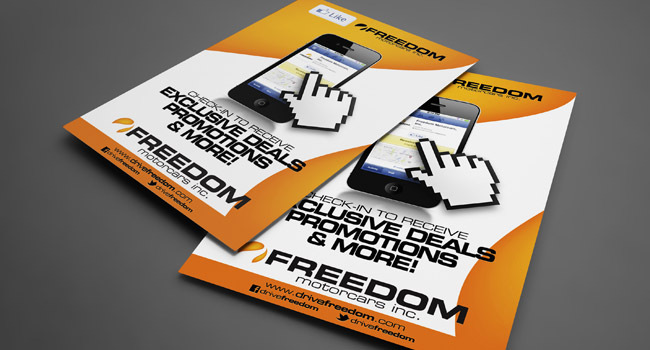 "Like always, Ryan Orion Agency knows exactly how to brand my company." 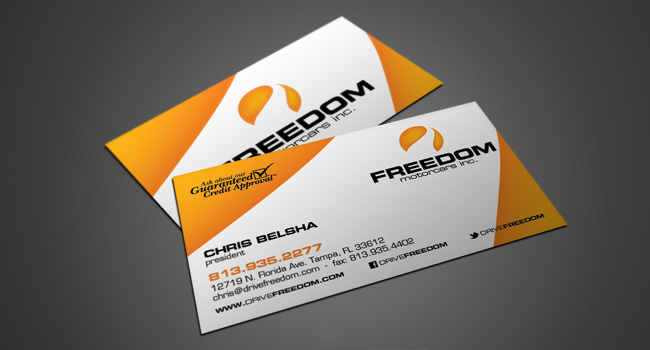 - Chris Belsha, Owner of Freedom Motorcars, Inc.